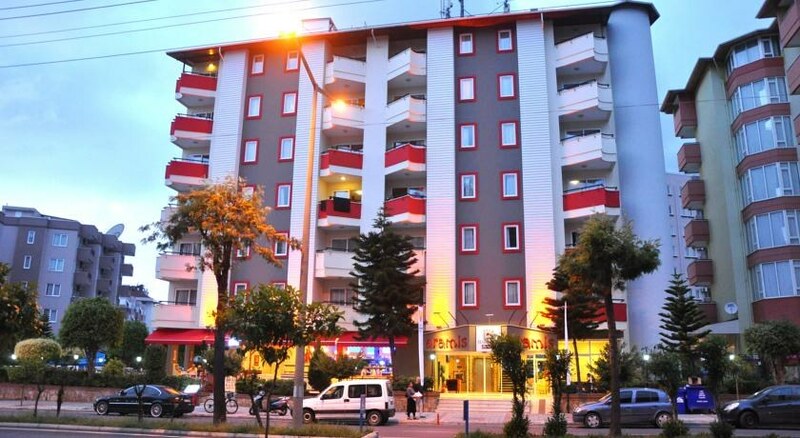 The Smartline Sunpark Aramis Hotel is located in the city centre of Alanya, just 400m from Kleopatra Beach (a shuttle bus is provided free during the summer season to the beach). 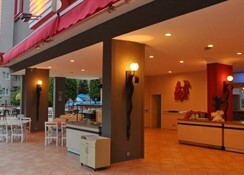 The hotel features an open air restaurant, bar, outdoor swimming pool, and fitness centre. 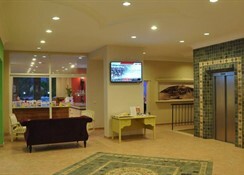 The 42 guestrooms are elegantly furnished and all have air conditioning, electric kettle, minibar, toaster, hotplate, microwave, coffee machine, safe box and flat-screen satellite TV. The private bathroom comes with shower and hair dryer. Each also has a balcony. 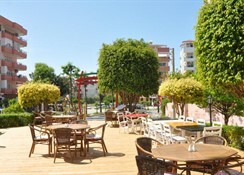 The Smartline Sunpark Aramis Hotel is located approximately 45km from Gazipasa Airport and 120km from Antalya Airport.